My pal, Fletcher Moss, winner of the Times/Chicken House Children’s Fiction Competition 2012 for his debut, ‘The Poison Boy’, has tagged me on a Blog Chain. I have to answer four questions and then pass them on to the next in the chain. Fletcher’s answers are here (http://sleepwellandfly.blogspot.co.uk) and I’ll be tagging CJ Flood, author of the acclaimed and multi-award-nominated ‘Infinite Sky’. At the moment I have, ahem, 25 works-in-progress. Slightly embarrassing. But some of them are almost finished and others just need a smidge more thinking. The thing is, an idea pops into my head and I’ve just got to sit down there and then and start writing it – especially when I’ve got an ace first line. I usually have a rough sort of plan and assume the rest will work itself out as I’m going along. And sometimes it does. But occasionally I get stuck, and those uncooperative ideas get wheeled into the dusty hangar of my hard drive and left to rust. How does it differ from others in its genre? I’m not entirely sure. The stories I write tend to be in the supernatural/historical/romance/horror/dystopian/thriller for 12+/young adults genre (is there one of those?). Basically I’m aiming at whatever genre Neil Gaiman and Patrick Ness are in, which I suppose would be the ‘award-winning best-seller’ genre. It differs from them in that I haven’t won as many awards or been as best-sellery. I write the sort of books I like to read myself. I like to be properly scared. 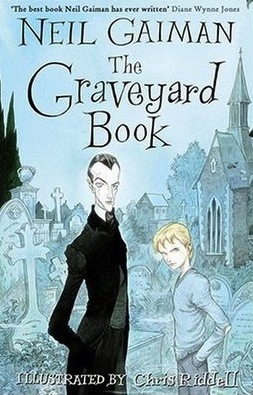 I wish I’d written Dark Matter by Michelle Paver, and The Graveyard Book by Neil Gaiman. I was really racking my brains for an idea for my second book – scowling at my computer hour after interminable hour, waiting for something brilliant to ping up on that blank screen, but I got nowhere. There’s some proper science stuff about it that goes something like this: your brain is most active when you’re on autopilot – in the shower, swimming, walking the dog etc – the prefrontal cortex has let go of the leash for a bit and this allows the right hemisphere of your brain to provide creative insights. It was when I gave up on ever writing a Book 2 that the ideas started flowing again. Like every other writer my ideas come from anywhere and everywhere: newspaper stories, items on TV, documentaries, and of course reading other people’s brilliant stuff (see, I nicked that whole section from Fletcher’s blog). Strangely I seem to get a significant number from dreams. Once I’ve snagged one I’ll sit down with a pen and paper and do a rough plan, and then over the following days and weeks plot and character points will occur to me, until eventually it’s in a fit state to start writing, by which point I’ve probably already written three quarters of it and have to junk it all and start again. All yours CJ, and best of luck with the awards (except for the Branford Boase: only average luck for that one). Previous Post The Costa Party!